TECHNICS SL-B20 TURNTABLE PARTS - Speed Control Knob Free Ship! 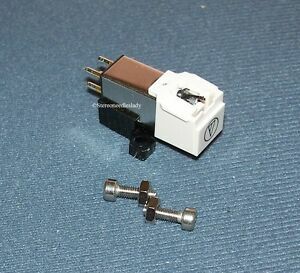 TECHNICS SL-B20 TURNTABLE PARTS - Tonearm Switch SFDP833NO2 FREE SHIP!! Accurate and fast. How about lunch sometime? Excellent Seller!!! * Item as Described!!! *Fast Shipping!! !Well Packaged!!! This was an awesome buy! I've been an audio enthusiast and professional installer for many years and have had a few turntables and cartridge combos in the past. I recently got a Technics SL-B3 from a customer. It needed a little work and a cartridge. I thought, according to some reviews I would have to spend some bucks to get a great sounding cartridge, when I came upon a comparison between the Rega Carbon and this AT 3600L. Very good and extensive write up! The Rega is more expensive and is essentially the same as the AT. You can find this review/test online. This AT sounds just fine, I am very happy! This AT is apparently used(under different brand names) by a number of companies and on some pricey turntables. Make sure to set all parameters, overhang(get a cart protractor on vinyl engine or headshell gauge), tacking force(a force gauge is recommended, the LED readout ones work fine), antiskate and VTF(if possible) Good Listening!